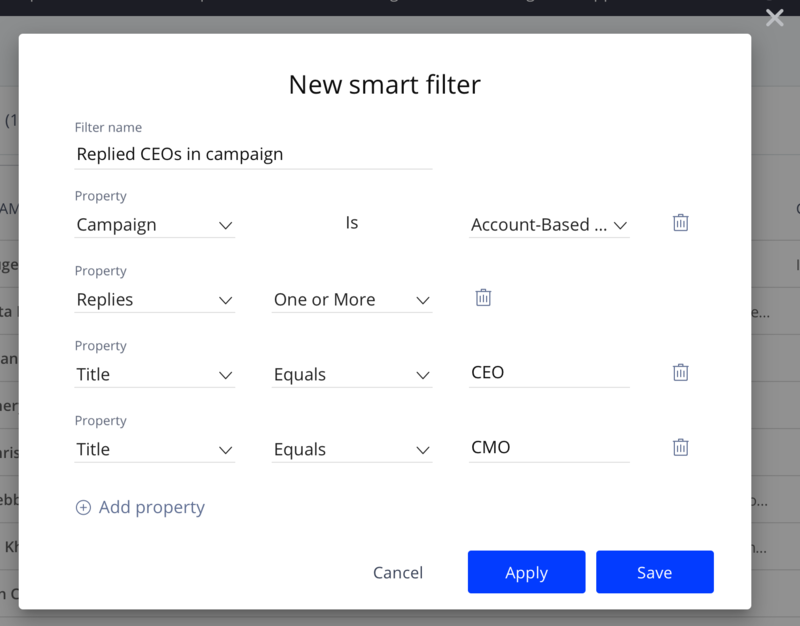 Reply lets you create complex custom filters that include more than one property. You can add any number of properties to refine the results. If you create a custom filter that contains the same properties, the system will consider them as the OR condition. The example below shows that the filter will display all contacts that contain the following properties - the contacts have the CEO title OR the contacts have the CMO title. If you create a custom filter that contains different properties, the system will consider them as the AND condition. 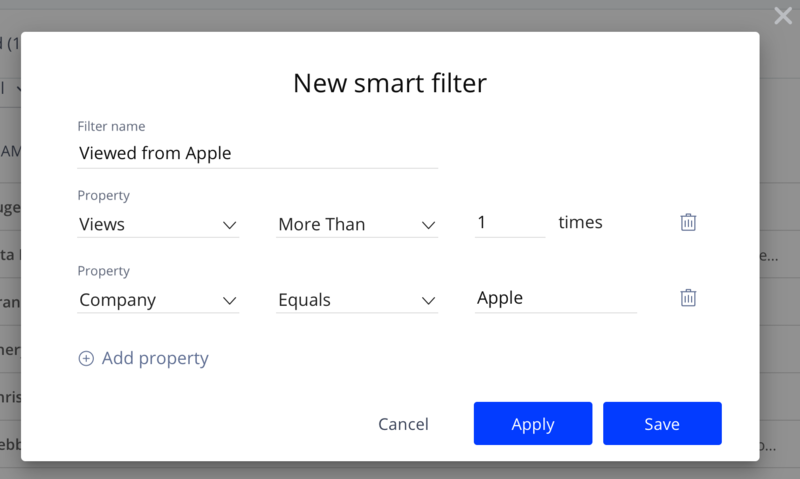 The example below shows that the filter will display all contacts that contain the following properties: the contacts viewed your email more than one time AND the contacts work in the Apple company. You can create a custom filter that contains both the same and different properties. In this case the system will filter the results that satisfy all conditions in the filter. 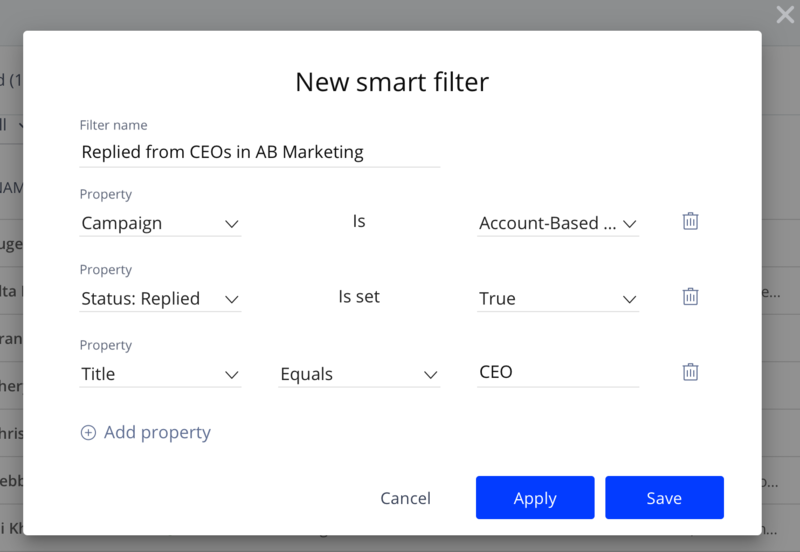 In the example below the filter will display all contacts that contain the following properties: the campaign is Account-Based Marketing AND the contacts replied at least one time AND the the contacts have the CEO title OR the contacts have the CMO title.